I can't believe that it's already December, can you? I also can't believe that it has been almost 4 months since I started this little blog. Time just keeps flying by! As a way to say thank you to those of you who have taken time out of your busy days to allow me to share a little of what I love with you, I am going to be giving away some books! Mrs. Barbara Taylor Woodall was kind enough to give me two signed copies of her books to share with y'all. Today, I'm going to offer the first one: It's Not My Mountain Anymore. Before I get in to all of the giveaway details, let me tell you a little bit about Mrs. Woodall. She was born and raised in the Appalachian Mountains of North Georgia and is a veteran of the Foxfire books. FOXFIRE, Y'ALL! I can't tell you how excited I was to be talking (via instant messenger) to someone that had a part in such an iconic series. I love those books! 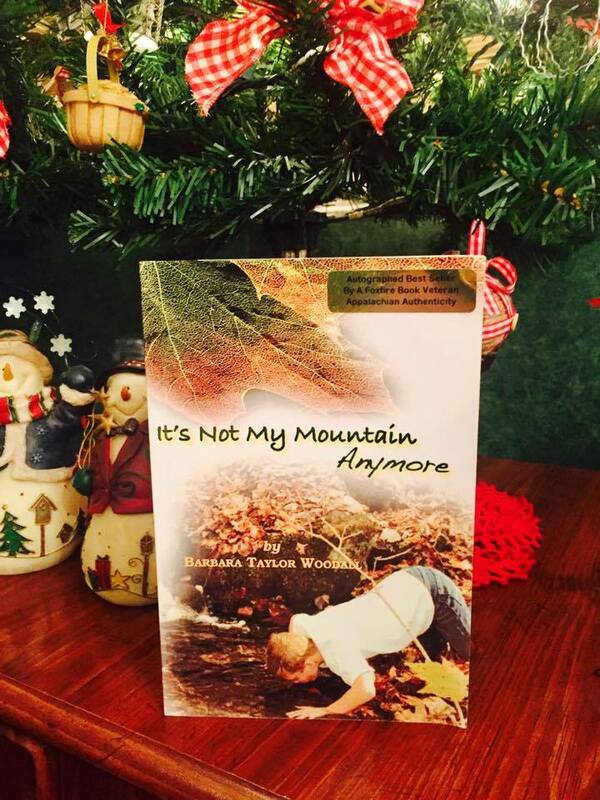 Her authentic, Appalachian voice moves throughout these stories of what it was like to grow up in the mountains. A book that can make you laugh and cry is a sure sign of a great writer. You can find this book and the one that I'll be giving away next week here. *I will announce the winner of this giveaway on Friday, 12/16/16 at 7PM (EST) on the Appalachian Mountain Roots Facebook page. You will have until 7PM on 12/20/16 to message me your mailing information. If I do not hear from you by then, a new winner will be chosen. I really don't want to have to do that so be sure to like and follow the Facebook page to receive all winner updates.